Appliqué a delightful Winter scene using a variety of machine appliqué techniques. Finished edge using wash away appliqué sheets, and raw edge appliqué will be demonstrated. Feel free to use either technique or both techniques for your project. Techniques for sewing down your appliqués will include a variety of blanket stitches and zigzag stitches. Several different types of threads will be used for demonstrations and you can choose which look you will use for your appliqué. Threads will be available for you to try and use in class. Please bring a few scraps of fabric for trying practise stitches. The finished tops can be used to create a pillow or wall quilt or table centre piece. Two patterns will be provided to you. The snowman and a Christmas stocking. Be prepared to have a fun time! 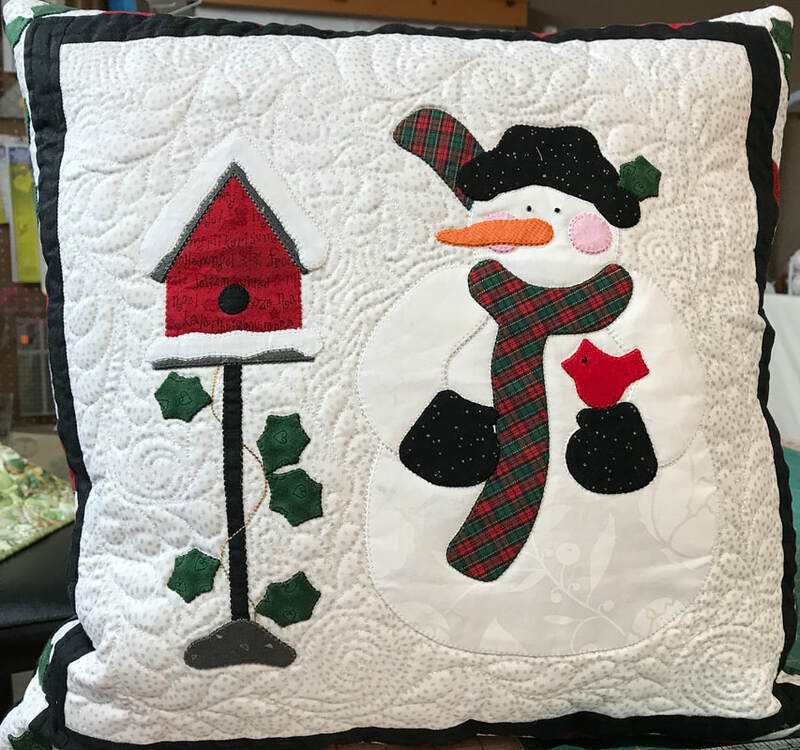 Various scraps of fabric for appliqué - for the snowman, I used a white that was different from the background, a plaid, black, black dot, two reds and grey.